The Nyala are considered to be one of the most strikingly beautiful antelope. A member of the spiral horn family their name comes from the Zulu name inxala. NOTE: This is a rifle hunting only package. 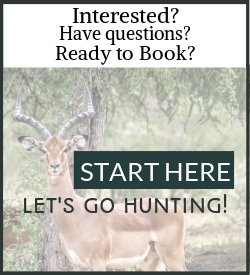 A discount of 10% will be taken off the listed trophy fees of any other animals taken during this hunt (excluding Sable, Bushbuck, Buffalo and any Free State animals). Additional trophies can be added at a discount of 10% off our regular Trophy Fee Rates (excluding Sable, Bushbuck, Buffalo and any Free State animals). 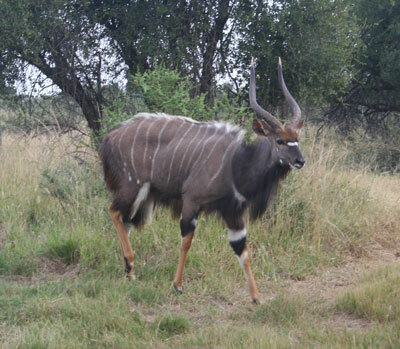 Daily Rates are included in our Nyala Hunting Package. 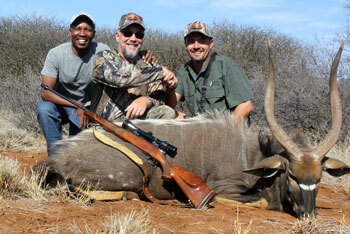 Cruiser Safaris safari hunting Terms of Business apply to this and all of our hunting packages.